The official mouth measurement — the one that secured the world record for him — happened on the set of “Lo Show dei Record” in Rome, Italy, on March 18, 2010. 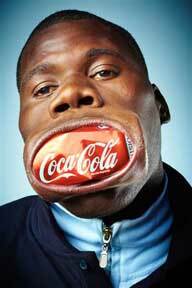 Chiquinho has been making headlines in Angola and around the world because of his memorable mouth. Not bad for a guy who started out using his elasti-skills to perform at local markets around Luanda, Angola’s capital. While in Rome, Chiquinho told the newspaper Il Messaggero that he would love to go to school and study. Guinness Book: Largest Number of People Playing Chess.